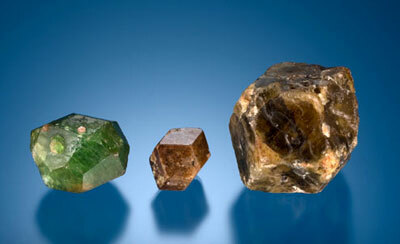 Group of Grandite [Grossular Andradite] Garnet Crystals. This new variety of gem quality garnet was first discovered in Mali in 1994. For more information, please view this article co-authored by Edward Boehm, called “Gem-Quality Glossular-Andradite: a New Garnet from Mali.